Regenerative agriculture is one of the most-discussed topics in the Good Food farming world. Advocates say that practices embodied in that term promote better soil health — increasing the sustainability of the agriculture that feeds humanity — while using sequestering carbon in soil to reduce global warming. There are believers in regenerative agriculture who even see it as becoming a farm product label, with some calling it “organic-plus.” But this is getting pushback from many producers whose farms are USDA Certified Organic and have invested much time and money into pursuing those practices necessary to achieving that certification. With interest and debate on these issues growing, FamilyFarmed is taking the lead in presenting a robust discussion of regenerative and organic agriculture on Friday, March 23. This panel discussion will be the Opening Symposium of the Good Food Trade Show: Production, Policy & Industry Exchange — the first day of Family Farmed’s two-day, 14th annual Good Food EXPO at Chicago’s UIC Forum. The Good Food EXPO’s Opening Symposium on Friday, March 23 focuses on regenerative and organic agriculture — among the most-discussed topics in Good Food agriculture. The panel of expert participants includes (from left) Matthew Dillon, Senior Director of Agriculture at Clif Bar & Company; Theresa Marquez, Mission Ambassador for Organic Valley (who will moderate the panel); David Montgomery, Professor and Author of “Growing a Revolution: Bringing Our Soil Back to Life;” Arran Stephens, Founder and CEO of the Nature’s Path organic cereal company; and Jeff Tkach, Chief Growth Officer at Rodale Institute. The Symposium on March 23 is scheduled to begin at 10:45 a.m. central. 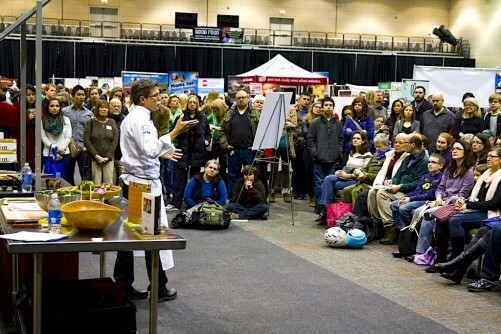 Tickets for the affordably priced Good Food Trade Show can be purchased on the Good Food EXPO site. Throughout its 14-year history, FamilyFarmed’s Good Food EXPO has celebrated the farmers who produce healthy, sustainable, local food for the Chicago region. That said, the lineup of farm-centric programming that will take place at Chicago’s UIC Forum — keynoted by the regenerative agriculture panel — is truly extraordinary. This programming has been acknowledged by, among others, the Illinois Farm Bureau, which published a story previewing the EXPO on its Farm Week Now site. For starters, Family Farmed is bringing its nationally renowned farmer training workshop program — which has trained 14,500 farmers in 43 states — to Chicago for two days. Both of these workshops are free and are targeted to farmers who are looking to expand their wholesale markets. The workshop on Thursday, March 22 (technically a pre-EXPO event) will focus on food safety. 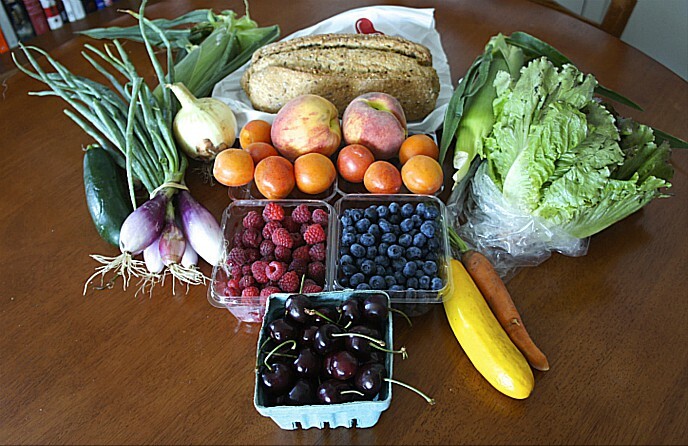 Every farmer selling into wholesale must provide assurance to buyers that best practices in food safety are being observed, while requirements of new federal Food Safety Modernization Act regulations are being met. Each attendee at the Thursday workshop will receive a copy of FamilyFarmed’s 309-page Wholesale Success manual (subtitled A Farmer’s Guide to Food Safety, Selling, Postharvest Handling and Packing Produce) and our On-Farm Food Safety binder (containing food safety standard operating procedures and action plan templates.). 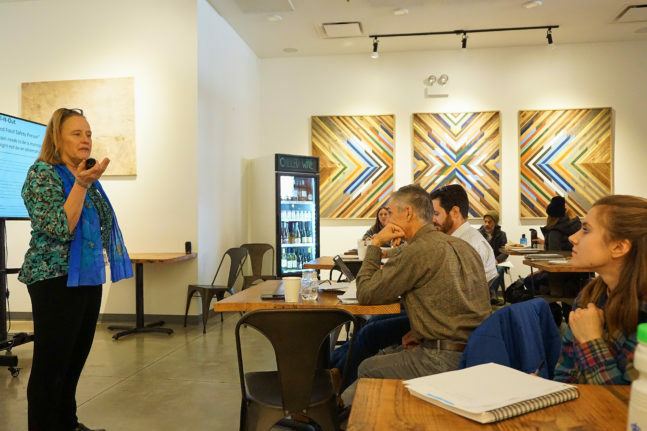 The training workshop on Friday, March 23 workshop (coinciding with the first day of the EXPO), will be a more sweeping instructional based on our Wholesale Success manual. 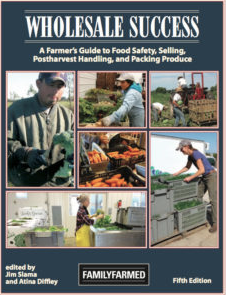 It provides immediately useful information, from farm planning to operations to postharvest handling to transportation and marketing, with a strong element of working with wholesale buyers. Friday attendees will receive a free copy of Wholesale Success, a $70 value. Both of these workshops will be led by Atina Diffley, a longtime organic farmer from Minnesota who for years has been FamilyFarmed’s lead farmer-trainer. We solicit feedback on our workshops, and Atina’s knowledge, communications skills and rapport with attendees are universally praised. The EXPO also is highlighting Illinois specialty crop farmers – to help them build wholesale relationships — through a scholarship program, underwritten by an Illinois Specialty Crop Block Grant. This scholarship, provided to the first 20 farmers who register, will cover the $370 fee for them to exhibit at the Good Food Trade Show on Friday, March 23. Exhibiting in our Good Food Marketplace on Friday gives farm and food producers unparalleled opportunitIes to meet with some of the region’s leading buyers, wholesalers, retailers and investors in a relaxed and unhurried environment. For an additional cost of just $100, scholarship recipients can also exhibit at the Good Food Festival on Saturday, March 24. FamilyFarmed’s big public celebration of Good Food, the Festival provides exhibitors with the opportunity to interact with thousands of consumers, gaining product exposure, expanding their market presence and benefiting from on-site product sales at the Festival. The EXPO also features panels and speakers on a range of issues of great interest to farmers. Along with the Opening Symposium on regenerative and organic agriculture, Friday’s trade panels include Understanding Third-Party Certifications; Selling to Government & Large Institutions; Transitioning to Organic; New Funding Sources for Farmers and Food Businesses; Social Media Marketing and Online Sales; and Sustainable Meat Production. There also is a panel on Building a Grain Value Chain, which relates to the Organic Grain Promotion Initiative that FamilyFarmed is developing. A separate policy track includes panels on Soil Health; the 2018 federal Farm Bill; and Food, Agriculture and Climate Change. The Friday program will also include two annual awards ceremonies: the 2018 Beginning Farmer of the Year, presented by Routes to Farm: Chicago Foodshed Farmer Alliance, and FamilyFarmed’s Good Food Business of the Year Award, presented to Nature’s Path, with Co-CEO Arran Stephens (also a panelist in the regenerative/organic Opening Symposium) accepting on behalf of the company. The Friday program ends with an Industry Networking and Meet the Buyers reception, which will include great locally produced beverages and snacks. Admission for the reception is included with a full Friday ticket or can be purchased separately. There also will be opportunities for farmers and buyers to set up one-on-one conversations, facilitated by FamilyFarmed’s Market Development Team. Admission to the Reception is included in the cost of a full-day ticket for Friday’s Trade Show, or may be purchased separately at the Good Food EXPO site. Saturday’s Good Food EXPO presents the Good Food Festival, FamilyFarmed’s big public celebration of the Good Food Festival. 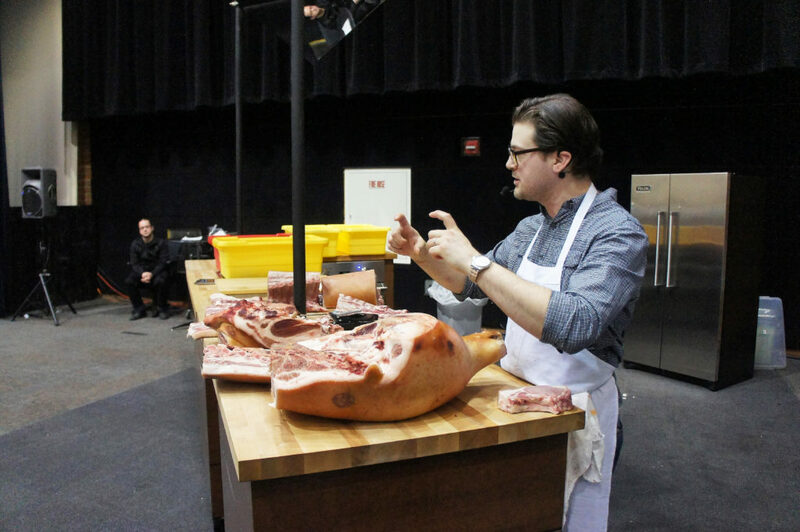 One of the highlights — for farmers and all other attendees — is our Chefs at Play stage, which regularly features some of Chicago’s top culinary talent. Sponsored by Blue Cross Blue Shield of Illinois, this year’s incredible lineup includes Sarah Grueneberg of Monteverde, who will receive FamilyFarmed’s 2018 Good Food Chef of the Year Award; Rick Bayless of the Frontera restaurants, who received the first Good Food Chef of the Year Award in 2014; Andrew Zimmerman of Sepia and Proxi; Jason Vincent and Ben Lustbader of Giant and City Mouse; Ina Pinkney – the long-reigning Breakfast Queen of Chicago – and Chef Tom Van Lente with Purple Asparagus, which brings engaging lessons about food into Chicago classrooms. So this is a must-see event for farmers looking to make personal introductions and connections to some of our leading culinary giants. General admission to the Good Food Festival is free, though pre-registration is required. This entry was posted in Farm businesses, Farmer training, Food education, Food labeling, Food safety, Food Safety Modernization Act (FSMA), Good Food Festivals, Organic farming, Regenerative Agriculture, Sustainable farming, Sustainable food business investment, Sustainable food retailing, Wholesale Success and tagged Atina Diffley, Blue Cross Blue Shield of Illinois, City Mouse Chicago, Clif Bar & Company, David Montgomery author, FamilyFarmed, FamilyFarmed Farmer Training, Farm Week Now, Frontera restaurant group, Giant Chicago, Good Food Expo, Good Food Festival, Good Food Trade Show, Illinois Farm Bureau, Ina Pinkney, Local Foods Chicago, Monteverde Chicago, Nature's Path, Proxi Chicago, Purple Asparagus, Regenerative International, Rodale Institute, Routes to Farm, Sepia Chicago, U.S. Food and Drug Administration, USDA, Wholesale Success. Bookmark the permalink.